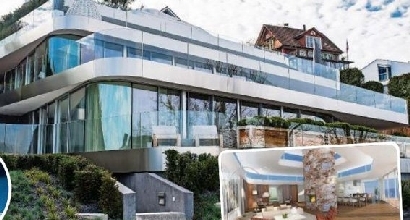 Roger Federer sold his house in Wollerau at a high price! Business commitments time for Roger Federer. In the last weeks, he got on the headlines especially for his apparent $300 million value contract with Uniqlo, but Roger is active in the extra-tennis world as well. The 20-time Grand Slam winner sold his house in Wollerau, Switzerland, near Zurich Lake. The exact price is unknown, but in November 2017, when the house was put on sale, on real-estate websites, it was 5.4 Swiss Franc, equivalent to $5.3 million. At the end of 2014, Federer had spent $10 million in order that the great house could have been built, the works finished in 2017 and now he earned just as half as money! The property features a pool on the terrace, 1,200 square meters of total land and the stained glass on the lake lines. A buyer is an important person involved in the financial Swiss environment, active in the asset management. The name is unknown. Federer now lives in Varbella, where he recently bought a $5.8 million house. In European winter, Federer moves to Dubai where he has a luxury property. Here below the Wollerau house, the little city is considered as a tax heaven and Federer was living there since 2008. Here below house in Wollerau, Valbella and a chalet in Lenzerheide. According to Forbes, in the last 12 months Federer earned more than 77 million dollars from prize money tennis tournaments, endorsements and appearance fees. Federer lost the Wimbledon quarter-finals match to Kevin Anderson on Wednesday, he looks forward to spend time with his family and friends in Switzerland.